One of the upshots of the Bush presidency has been the flood of documentaries released in response to it.Over the past year, a glut of small nonfiction films have managed to find their way into the public consciousness, in order to proclaim, in some small way, that a better world is indeed possible. 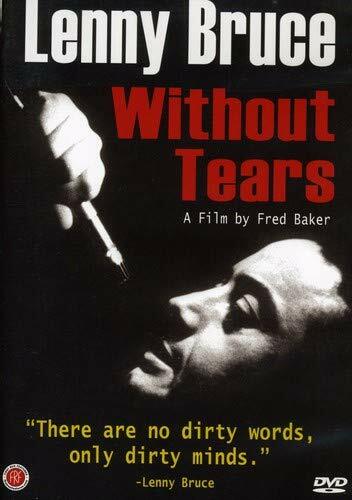 As if to remind today&#146;s malcontents that this struggle has been ongoing for much of the last century, First Run Features is bringing back into print Fred Baker&#146;s 1972 post-mortem Lenny Bruce documentary, Lenny Bruce Without Tears. &#147;Genius&#148; and &#147;ahead of his/her time&#148; are recycled, overused phrases in the pop canon, but Lenny Bruce was as deserving of those titles as anyone.It is a sad irony that the world is at this very moment mourning the passing of another&#151;altogether more successful&#151;comedian who also got his start on the Steve Allen show–Johnny Carson. Their styles couldn&#146;t have been more different.For one thing, the documentary, which includes long, rambling footage of Bruce&#146;s standup, highlights how uneven&#151;at least by today&#146;s standards&#151;much of his work could be.His comedy routines, heavily influenced by the Beats, were more like holy incantations, and they have a ragged intensity, though laughs are few and far between.A virtuoso mimic and culture junkie, Bruce is seen improvising bits like he&#146;s at some screenplay pitch-meeting from hell; Baker, a jazz musician by inclination, picks footage that showcases Bruce at his riffiest, whether fueled by speed in a downtown nightclub or the searing blandness of white America&#146;s nightly television programs. Like fellow counterculture icons such as Jack Kerouac, Che Guevara or Jimi Hendrix, Lenny Bruce&#146;s mythical stature was exponentially increased by his untimely death.Baker&#146;s document includes footage of Bruce onstage reading the obscenity charges he battled first in Philadelphia and later all across the country, which eventually bankrupted him and left him emotionally ruined.A product of its time, the film often syncs up Bruce&#146;s monologues against grainy black and white photos of Vietnam, still a roiling quagmire at the time of the film&#146;s release in 1972.Other poignant footage includes Nat Hentoff&#146;s taped interview with Bruce taken at the Village Vanguard in New York, where the toll of his legal woes and reliance on dope is unmistakable. The comic appears unwashed and sixty pounds overweight, although this doesn&#146;t stop him from jumping to do an impromptu song and dance that skewers both the establishment cops and those who would have him as a martyr.As the talking heads that occasionally pop up in the film note, even towards the end Bruce showed an almost superhuman level of energy and optimism. Wiry, manic and unmistakably Jewish, Lenny Bruce let loose a new brand of edgy comedy, paving the way for later legends such as George Carlin, Richard Pryor and Bill Hicks.Baker&#146;s portrayal reveals a brilliant social critic and waggish storyteller; the re-release of this film coincides well with last year&#146;s mammoth 6-CD box set of Bruce&#146;s live material, Let The Buyer Beware.A cult documentary directed by one of his friends and contemporaries (the DVD comes equipped with a mediocre short entitled Finding Fred Baker), Lenny Bruce Without Tears is a crucial artifact on one of America&#146;s most essential icons.